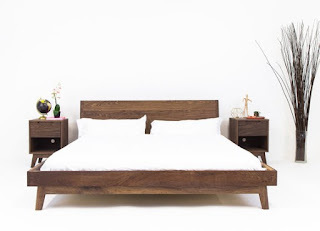 Your sheets have finally bit the dust, and you want to find something greener than your old Target mainstays. We have been there! 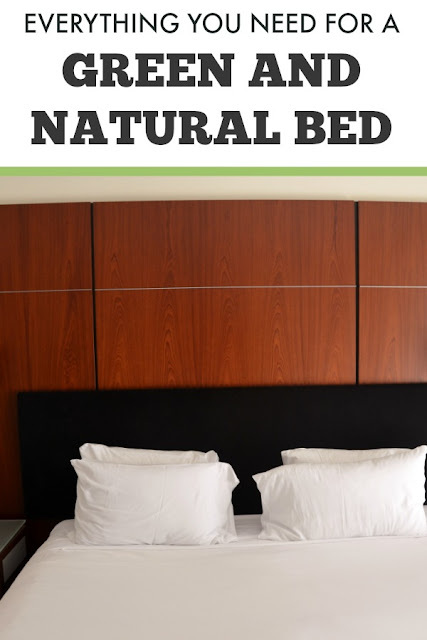 If you are trying to establish a green home, treating your bed as a green and natural space can transform your whole day and outlook. If you are looking for green options, I have lots of ideas for you. 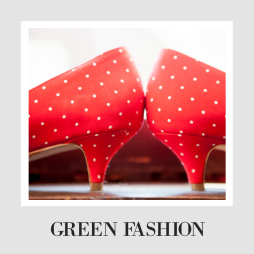 There are a few steps to take to shift your shopping practices to something greener. It can be uncomfortable at first, but once you get the hang of it, you will never want to go back! Does what you have still work? Why are you ready to move on? We discard millions of still useful items every day. If you can get more life out of your sheets, then the greenest thing you can do is to keep using them. So even if you want to shift your style, consider how to make what you already have work. Simply buying less is a profound positive change for your life and your world. If you are ready to be done with something, do NOT throw it away. First, check with your local Buy Nothing group to see if anyone can use it (don't have a Buy Nothing group yet? Check this website for information about the project and to get started). If that isn't an option, you can still donate the vast majority of what you own. Check the bottom of this page for tons of tips on where to donate things. Throwing things away has to be a last resort. As a side note, you can also buy less for redefining what you "need." 2 sets of sheets is plenty, one to be used when the other is washed. A few extra pillowcases for while some are being washed. In other words, you can minimize waste by simply setting some numbers for what you really need. If you are going to buy something and you want to have a positive impact, you have two options- buy it to last or buy it used. If you can't afford (or it just doesn't seem worth it) to buy the ethically-made stuff, you can always finds tons of sheets, blankets, and pillowcases at Goodwill. Secondhand shopping used to have a stigma, but it is one of the BEST things you can do for the environment. It cuts down on fossil fuel/shipping waste, sidesteps plastic packaging, doesn't reward unethical labor, AND keeps objects out of landfills. No matter what item we are talking about, the first step is to check your local thrift stores, online spaces, even Ebay to find a used option. And you can throw this stuff in the washing machine and have it come out as good as new. That said, I don't necessarily recommend getting a mattress used. At the least, you should know the person who gives it to you. Bed bugs is no joke. For about 3 years, we had two pairs of sheets, both from Target. We used one until it literally was threadbare. Our new set of sheets from Holy Lamb Organics feel better, and I am hopeful they last longer, but even if they don't, I feel really good about them for two reasons: 1. When we are done with them, they are made of all organic (not synthetic) material, so they will break down. 2. I know that the people who harvested the cotton and manufactured the sheets were treated well. For me, I can no longer live with items that I know someone was mistreated to make. I cannot fund someone else's abuse. So I will only buy from companies that manufacture in countries with high labor standards or with fair trade certification. If companies are concerned with how they treat their people, they tend to also care more about their impact on the environment. It's not a universal rule, but a general trend. I also believe deeply in buying local (for us that means Made in America, but obviously you need to shop where you are) and avoiding animal products. Shipping is a huge part of the fossil fuel use causing climate change. Shipping tends to be an invisible part of our impact; we don't think about the journeys every item we buy takes, but when our stuff travels way more than we do, it is actually a huge part of the CO2 we are responsible for. In a similar vein, animal products are not only often cruel, but they waste many more resources than the same thing in a plant product. In other words, cotton trumps synthetic and cotton also beats out wool or down. Whether synthetic or animal product is worse is up to your own priorities, so I still have some of both on the list because I know every person comes to these challenges with their own priorities and challenges. For example, the company Eighth Generation is amazing, American-made, and you can support an undersupported population, but they do use wool. The right answer is not universal here, so options are important (though I will say I can avoid most of these questions in my own life just by doing the vast majority of my shopping secondhand). It takes a lot of research to figure out where one object is made, and the average American home has 300,000 objects in it. Who has time to research that much? Luckily, I have done that for you. I will give you the best of brand new options, but the first answer is to embrace buying less and buying secondhand. The greenest, most zero-waste plates in the world will still not be as green as just not buying anything. In the trickier sections, I have marked whether something seems to be vegan or zero waste. I don't think there are many certifications in this area, so no guarantees (hence never trying this before), but if you come to this from wanting to minimize your waste or consume no animals, I hopefully have made the path more clear. These blogs have Amazon and Etsy affiliate links. I definitely encourage you to shop Etsy, but if you can avoid Amazon, do so.It's the Walmart of the internet. Instead, shop in your locally-owned stores or even places like Costco that are known for their excellent labor practices! That said, let's get going. If you can find a bed used that you love, do that! I have seen people ask for beds on Buy Nothing and happily receive them. Cheap and you are saving the world. Otherwise, you have people who make furniture who live near you. Support your community and cut down on fossil fuels by looking into makers and companies (and Amish people if you grew up where I did) that make beds and other furniture. You can also find amazing things made in the states by poking around on Etsy (I especially love sellers who make things from reclaimed wood). Ok, I have excellent news; TONS of mattresses are made in the USA! The bad news is I have very minimal mattress experience to work with, so choosing a top pick seems tricky. Saatva wins purely because they use fewer synthetic (meaning petro-chemical-based) materials. My best advice is to head to a mattress store with this list in hand (and an eye out for Made in America and organic labeling- they will always brag about it) and find what actually feels good. There are seriously so many American-made mattresses, though not all have as high environmental standards. 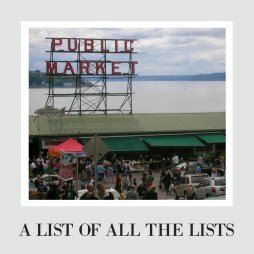 If you want to research some of your own, I would check out this list from my beloved USA Love List. If you have a well-worn or not quite right mattress, many and most of these companies also sell mattress toppers. This is a perfect way to keep using what you already have longer and minimize your impact. Just prioritize ones made of organic materials. Yes, these blankets are more expensive than what you are used to. That's because the person who made it was treated well. There are a few all cotton gems that are both totally biodegradable and completely animal-product free. I would start there. There are tons of options for sheets out there, and lots of them use organic cotton and are made in the US. I feel like we will slowly test all of these companies, but it will take a while, because we only have 2 sets at a time. I don't often say this, but I don't recommend getting pillows used. Just not worth the risks. Since I have shopped at Cozy Pure, I would maybe take the leap and buy an organic foam pillow from them (down has always made my face itch, and we avoid animal products). That said, mostly I think you need to actually feel a pillow before you buy it. Keep a look out for Made in America, Organic, or even Fair Trade stickers on the packaging. If you don't see anything like that, move on to the next one. Want even more Bedroom options and ideas? Check out our wedding registry, which is damn thorough. For even more ideas about how to make your home, wherever you live, greener- check out the Green Homes page!